Starting at the crack of dawn amidst heavy rain, we reached Seosan lake A just as the rain had abated and a nice breeze brought some respite from the humidity. Encouraged by the relatively good condition of the track, we started by scanning a flock of Little Terns busy feeding. Scanning the birds which were more than a 100m away, all 3 of us stumbled upon a single Whiskered Tern and a Common Tern. In the meantime, the local insect population (especially the spiders) seemed to have developed a great liking for us! There were good numbers of Great, Intermediate, Little and Cattle Egrets in the surrounding rice fields. Further up the lake, we encountered 16 Black-tailed Godwits feeding on one of the sandbars. Nearby there were at least 13 Far Eastern Oyestercatchers, 12 Dunlins, 2 Grey Plovers and 3 Red-necked Stints. 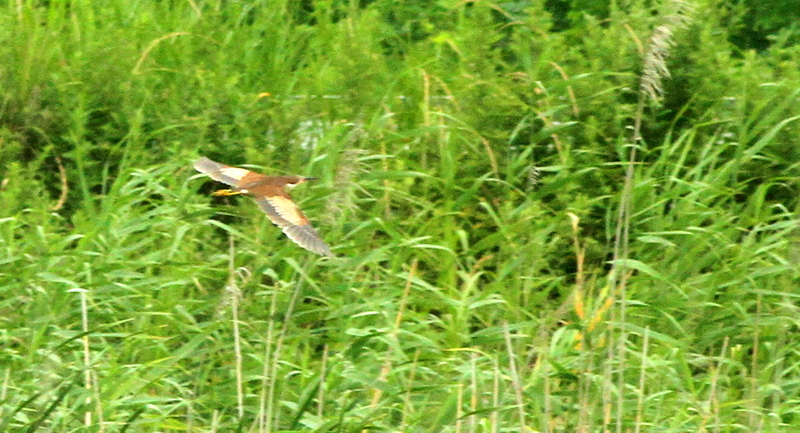 In the trees and reeds around the lake, large numbers of Black-crowned Night Herons were spotted, many of them juveniles. We also spotted a couple of Bean Geese. It was quite unusual to see a species we normally see in the winter. 3 Black-winged Slilts in gorgeous breeding plumage graced the main stream running into the lake. 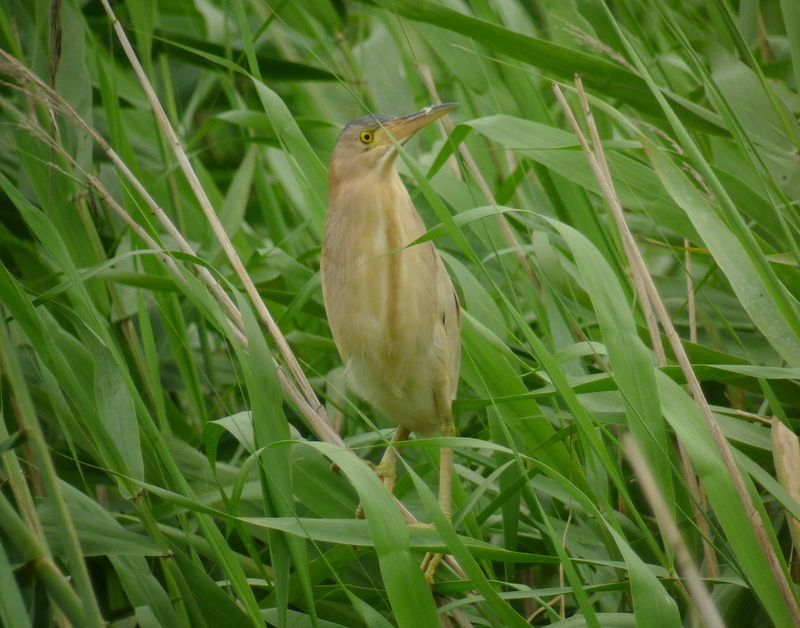 As the day progressed, we began intensively scanning the reed beds for bitterns. 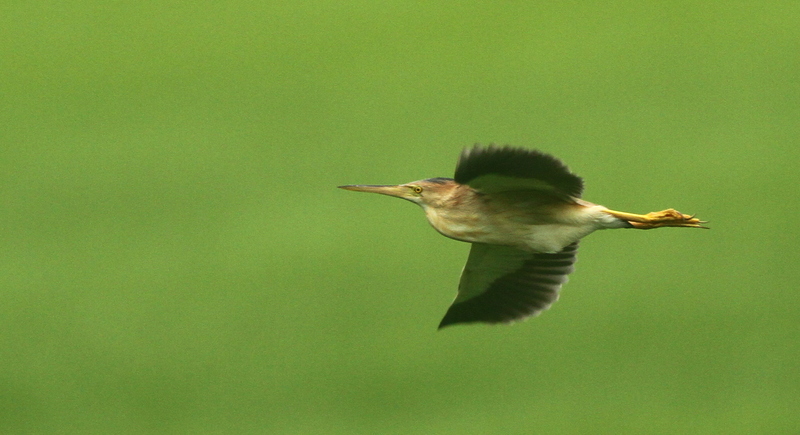 The first success was in form a single Yellow Bittern, which gave good views. More followed, some of them quite close and easy to see, some of them more distant only offering fleeting glimpses as they flew over and plunged into the reeds. The highlights of the day came from the same reservoir north of the lake. 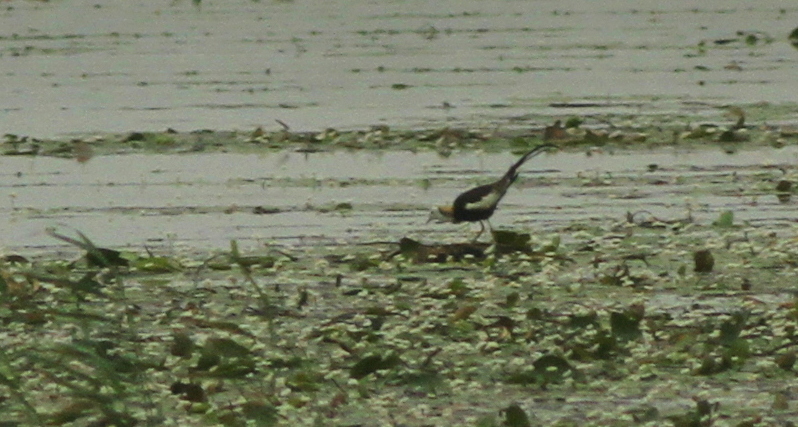 At first a pair of Pheasant-tailed Jacanas on the lily pads. 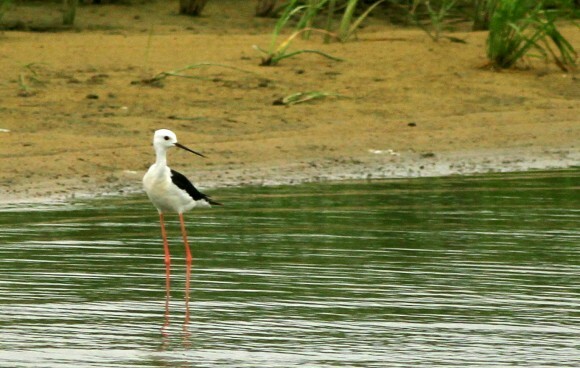 Though rather distant, it was an absolute pleasure to look at these handsome birds in their eye popping plumage. 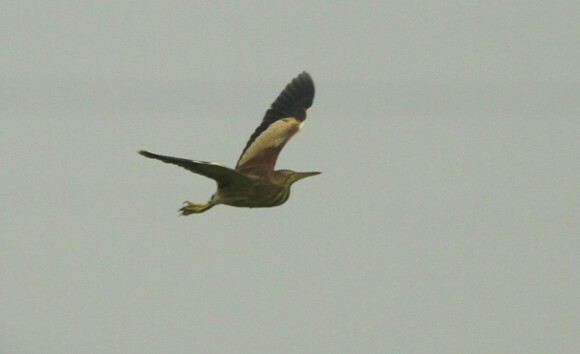 The second highlight required some patient scanning but in the end we were rewarded with good views of 2 (or probably 3) Von Schrenck’s Bitterns. 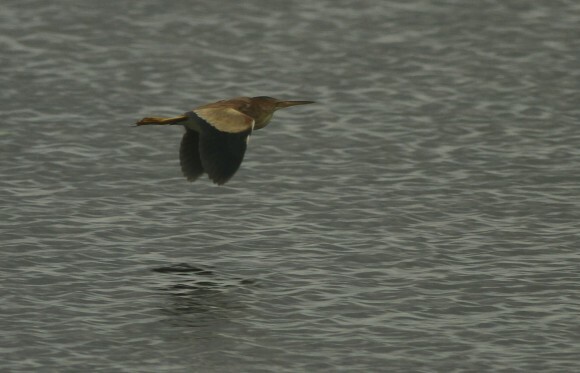 The reservoir also had Coot, Moorhen, Great Crested and Little Grebe and Oriental Reed Warblers. A Common Cuckoo was also heard. Buoyed by the 2 highlights in quick succession, we searched in vain for Watercock. Speaking to one of the local farmers, who seemed to recognize the bird, we learned that though they used to frequent the fields in the past, they have been absent in the recent years and mentioned the increased use of pesticides. In spite of the sweltering heat and spells of rain, it was a great day of birding with 54 species spotted.